Whether you experience a minor joint injury or long-term joint pain that limits your mobility, Dr. Patrick T. Boylan of Lake Physical Medicine can help reduce your pain. At his practice in Mentor, Ohio, Dr. Boylan uses interventional pain management techniques and regenerative medicine to reduce and relieve joint pain. Joints are the connective tissues between bones. Because joints facilitate movement and provide support, pain in the joint can be extremely uncomfortable. Knees, shoulders, and hips are the most common joints that cause prolonged pain and discomfort. Dr. Boylan works with you to determine the correct source of your joint pain and help you manage it for the long term using interventional pain management techniques. Joint pain, no matter the cause, doesn’t have to be permanent. 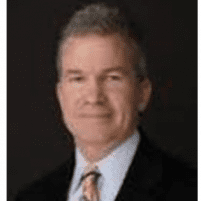 Dr. Boylan specializes in providing the highest level of joint care for his patients, employing a range of treatments to reduce and eliminate pain. Are injection treatments available for joint pain? Dr. Boylan uses injection treatments to relieve severe joint pain. Platelet-rich plasma (PRP) injections are a form of regenerative medicine which uses your own blood cells to help your body heal itself. The platelet-rich plasma is injected into the joint to help promote healing directly at the site of the pain. The treatment may help regrow new tissue and increase natural lubricant fluids in the joint, thus reducing joint pain. Dr. Boylan may also choose to use steroid injections to treat your joint pain, as they help reduce inflammation in the joint, which relieves any pain caused by the inflammation. To receive the highest quality joint pain care, schedule an appointment online or call Dr. Boylan at Lake Physical Medicine.